Some folks think running wild means going to a party and dancing on tables until the break of dawn. To us, running wild means galloping across the plains of Africa with a bunch of other animals that share your penchant for galloping and avoiding lions. Different strokes. 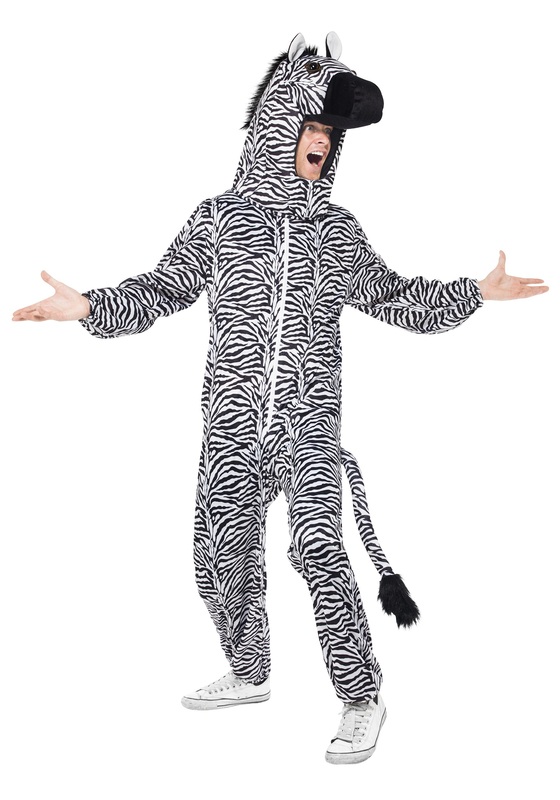 But here’s the thing, this Adult Zebra Costume allows you to cut loose no matter how you define it! You’ll be the hit of the party, whether you become a maven of the dance floor or simply an expert roamer and mingler. 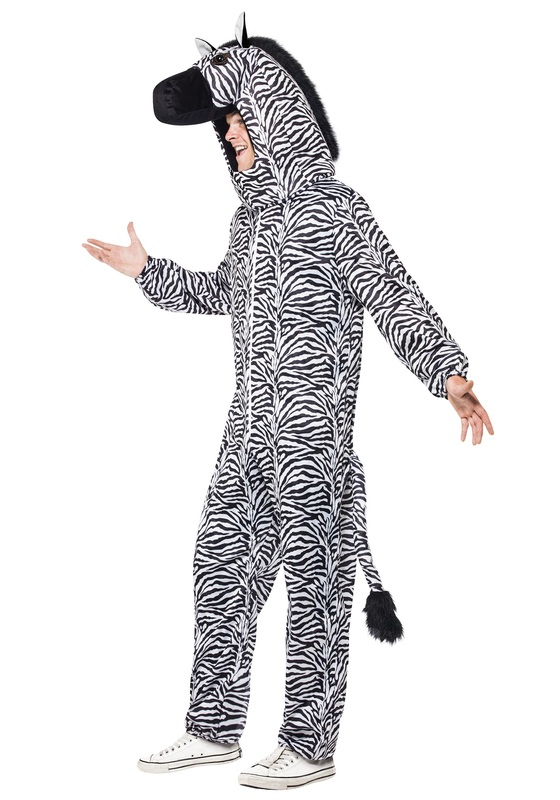 The classic zebra stripes help you stand out from all the costumes and you can herd easily with the rest of your pals. 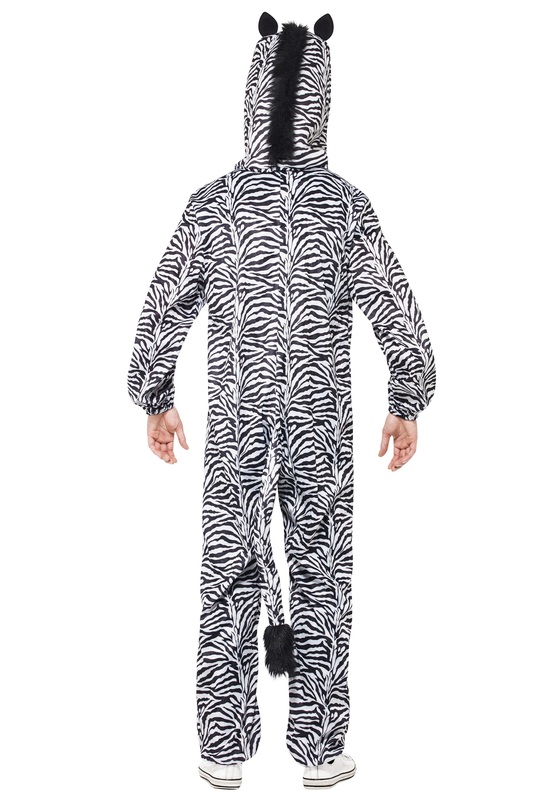 Most importantly, this costume is totally cozy, with it’s body-encompassing jumpsuit. 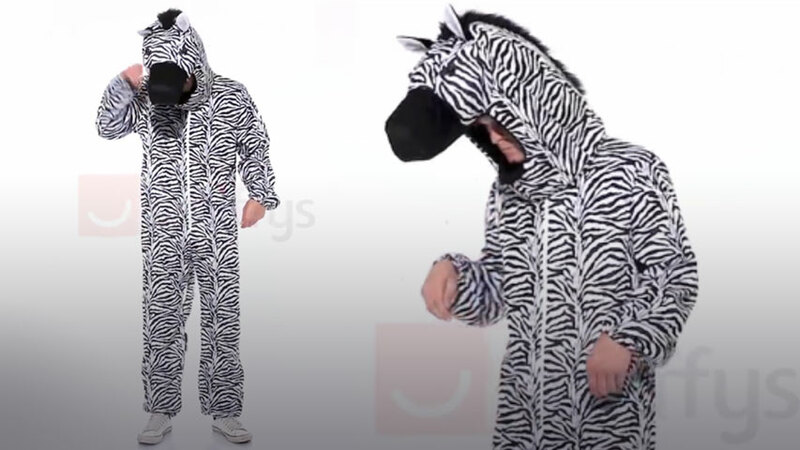 The poseable tail may become your best party trick, and the plush head on the hood tips off anyone who may be running a bit too wild that you are, in fact, a zebra (but really, come on. What else could you be?). Just add your own favorite black or white kicks to this savannah-ready suit and graze all night in comfy-cool style. And remember, always zig-zag when trying to avoid a lion. They never see it coming! Once you drill that survival instinct into your new zebra head, you can run wild all and carefree all night long until the sun rises over the plains!